Ubayy bin Ka'ab RA is one of the most famous Sahabah and was an expert in the recitation of the Qur’aan. Very few Arabs were educated before Islam, and he was one of them. Nabi SAW used to read out the revealed Qur’an to him. He memorised the Qur’an during the life time of Nabi SAW and had a thorough understanding of it. 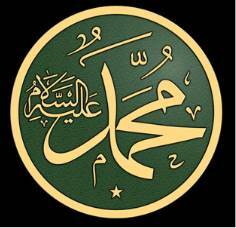 Nabi (is reported to have said: " Ubayy bin Ka'ab is the greatest Qari of my Ummat." He used to finish the entire Qur’an in eight nights in Tahajjud Salaah. Nabi SAW once said to him: "I have been commanded by Allah to recite the Qur’an to you." 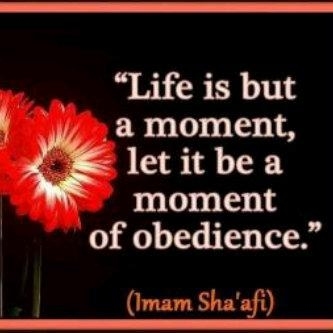 He said: "O, Nabi of Allah! Did Allah mention me by my name?" 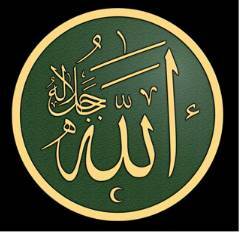 Nabi SAW replied: "Yes, He mentioned you by your name." Tears began to roll down his cheeks with extreme joy. Jundub bin Abdullah RA says: "When I went to Madinah to gain knowledge, I found that people were sitting in groups and each group was handed over to a teacher. 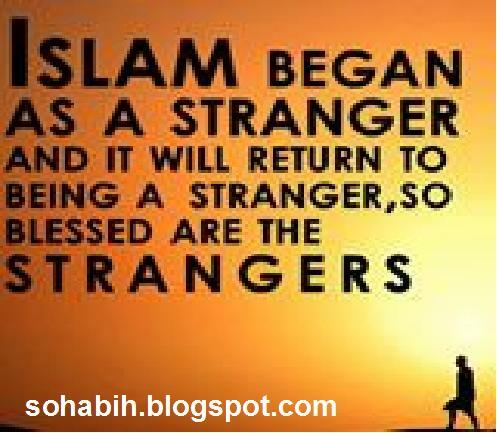 In one of the groups I saw a person, dressed in two sheets of cloth, teaching Hadith and looking like a traveler. I asked the people, 'Who is this person?' 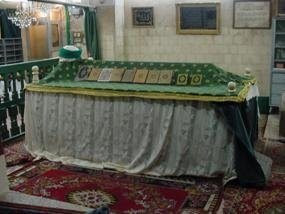 They said, 'He is our respected Imam, Ubayy bin Ka’ab .' When he finished teaching, I followed him to his house. He was staying in a very old and rundown building, with little or no furniture. I noticed Ubayy RA living a very simple and poor life." My reply made him very happy. He said, 'May Allah bless you through your knowledge.' Once, when Nabi SAW was leading the Solah, he missed one verse. Ubayy RA pointed out the correction from behind. On finishing Solah, Nabi SAW inquired, 'Who corrected me?' He was told that it was Ubayy bin Ka'ab. He remarked, 'I also thought that it was him.'" In spite of his devotion to knowledge and his special job of writing the Qur’aan, he took part in all the battles by the side of Nabi SAW. He did not miss a single battle or expedition led by Nabi SAW. "O Abu Mundhir! Which verse of the Book of God is the greatest?" asked the Messenger of God, may God bless him and grant him peace. "Allah and His Messenger know best," came the reply. The Prophet repeated the question and Abu Mundhir replied. "Allah, there is no god but He, the Living the Self-Subsisting. Neither slumber overtakes him nor sleep. To Him belongs whatever is in the heavens and whatever is on earth, ..." and most likely he went on to complete the Verse of the Throne (Ayat al-Kursi). The Prophet smote his chest with his right hand in approval on hearing the reply and with his countenance beaming with happiness, said to Abu Mundhir. "May knowledge delight and benefit you, Abu Mundhir." This Abu Mundhir whom the Prophet congratulated on the knowledge and understanding which God had bestowed on him was Ubayy ibn Kab, one of his distinguished companions and a person of high esteem in the early Muslim community. Ubayy enjoyed a special honor with regard to the Quran. One day, the Prophet, may God bless him and grant him peace, said: "O Ubayy ibn Kab! I have been commanded to show or lay open the Quran to you." "O Messenger of God...Have I been mentioned to you by name?" "Yes," replied the Prophet, "by your own name and by your genealogy (nasab) in the highest heavens." Any Muslim whose name had been conveyed to the heart of the Prophet in this manner must certainly have been of great ability and of a tremendously high stature. "Shall I not teach you a surah the like of which has not been revealed in the Tawrah, nor in the Injil, nor in the Zabur, nor in the Quran?" "Certainly," replied Ubayy. "What do you recite when you stand for Salat?" So, I recited for him Fatihatu-l Kitab (the Opening Chapter of the Quran) and he said: "(That's) it! (That's) it! They are the seven oft-repeated verses of which God Almighty has said: We have given you the seven oft-repeated verses and the Mighty Quran." Ubayy's devotion to the Quran was uncompromising. Once he recited part of a verse which the Khalifah Umar RA apparently could not remember or did not know and he said to Ubayy: "Your have lied," to which Ubayy retorted; "Rather, you have lied." A person who heard the exchange was astounded and said to Ubayy: "Do you call the Amir al-Muminin a liar?" "I have greater honor and respect for the Amir al-Muminin than you," responded Ubayy RA ," but he has erred in verifying the Book of God and I shall not say the Amir al-Muminin is correct when he has made an error concerning the Book of God." "Ubayy is right," concluded Umar. Ubayy gave an idea of the importance of the Quran when a man came to him and said, "Advise me," and he replied: "Take the Book of God as (your) leader (imam). Be satisfied with it as (your) judge and ruler. It is what the Prophet has bequeathed to you. (It is your) intercessor with God and should be obeyed..."
After the demise of the Prophet, may God bless him and grant him peace, Ubayy RA remained strong in his attachment to Islam and his commitment to the Quran and the Sunnah of the Prophet. He was constant in his ibadah and would often be found in the mosque at night, after the last obligatory Prayer had been performed, engaged in worship or in teaching. Once he was sitting in the mosque after Solah with a group of Muslims, making supplication to God. Umar RA came in and sat with them and asked each one to recite a dua. They all did until finally Ubayy's turn came. He was sitting next to Umar. He felt somewhat over-awed and became flustered. Umar prompted him and suggested that he say: "Allahumma ighfir lanaa. Allahumma irhamnaa. O Lord, forgive us, O Lord, have mercy on us." Taqwa remained the guiding force in Ubayy's RA life. He lived simply and did not allow the world to corrupt or deceive him. He had a good grasp of reality and knew that however a person lived and whatever comforts and luxuries he enjoyed, these would all fade away and he would have only his good deeds to his credit. He was always a sort of warner to Muslims, reminding them of the times of the Prophet, of the Muslims' devotion to Islam then, of their simplicity and spirit of sacrifice. Many people came to him seeking knowledge and advice. To one such person he said. "The believer has four characteristics. If he is afflicted by any misfortune, he remains patient and steadfast. If he is given anything, he is grateful. If he speaks, he speaks the truth. If he passes a judgment on any issue, he is just." Ubayy RA attained a position of great honor and esteem among the early Muslims. Umar RA called him the "sayyid of the Muslims" and he came to be widely known by this title. He was part of the consultative group (mushawarah) to which Abu Bakr, as Khalifah, referred many problems. This group was composed of men of good sense and judgment (ahl ar-ray) and men who knew the law (ahl al-fiqh) from among the Muhajirin and Ansar. It included Umar RA, Uthman RA, Ali RA, Abdur Rahman ibn Awf RA, Muadh ibn Jabal RA, Ubayy ibn Kab RA and Zayd ibn Harith RA. Umar RA later consulted the same group when he was Khalifah. Specifically for fatwas (legal judgments) he referred to Uthman, Ubayy and Zayd ibn Thabit. "What's the matter with you? Why don't you appoint me as a governor?" "I do not want your religion to be corrupted" replied Umar RA. Ubayy was probably prompted to put the question to Umar RA when he saw that Muslims were tending to drift from the purity of faith and self-sacrifice of the days of the Prophet SAW . He was known to be especially critical of the excessively polite and sycophantic attitude of many Muslims to their governors which he felt brought ruin both to the governors and those under them. Ubayy RA for his part was always honest and frank in his dealings with persons in authority and feared no one but God. He acted as a sort of conscience to the Muslims. He would then pray fervently to God for guidance and ask for His clemency and forgiveness. Ubayy RA died in the year 29 AH during the caliphate of Uthman RA.